You can find more Share and Don’t Share posts on the Monday 5/13 Link List. 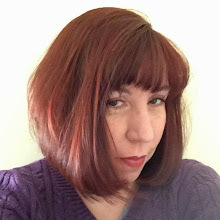 My endocrinologist doesn’t read my blog. I mean, I don’t think he does. I’m 97.3% sure my endo doesn’t read my blog. But he knows I have a diabetes blog. He knows I’m also a regular contributor to The Loop. He knows I often come prepared to discuss various things I’ve learned from the DOC. But I highly doubt he has the time or the desire to Google my blog and read it. But what if he did? Eeep!! I’d love him to see that sometimes I can be working really really hard even if my numbers don’t reflect it. I’d like him to see how hard I try and the huge volume of time diabetes takes up every day. I’d like him to understand how really scary a bad low can be so he’d get why sometimes I over-treat. (I had another one of those scary bad lows at midnight last night, and ate far too much chocolate frosting while contemplating how close I might have come to not waking up. He should see that stuff.) I hope he would read something that would help him better understand the emotional side of diabetes. I’d love for him to see how important emotional support is, both from our peers and from professionals. And I wouldn’t mind him seeing how awesome I think he is! Is there anything I might write about that I wouldn’t want him to see? You bet there is. I could do without him knowing about the times I say “eff it” to diabetes and feast on Mexican food even though it will totally wreck my numbers. I don’t want him to see the times I know I should check my blood sugar but I’m too lazy. I wouldn’t want him to know that I sometimes mute my CGM during the night if it’s robbing me of too much sleep. (Yes, I know, stupid thing to do!) I wouldn’t want him to see the Diabetes Burn-Out, which is pretty silly since I just said I wanted him to understand the emotional side of diabetes and I think that’s a huge part of burn-out. What ever. So basically, if Dr. F were to read my blog (hi Dr. F!! ), I’d want him to see all of the times I’m a “perfect” patient but skip all of the times I’m just a normal human PWD. How crazy is that? 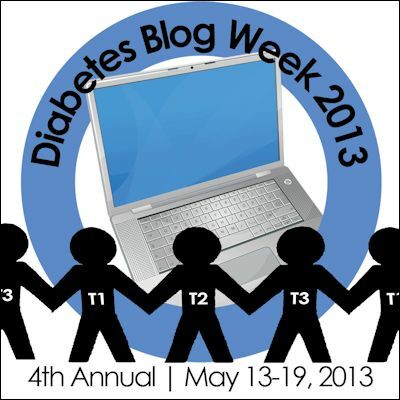 It isn't too late to sign up and join in on Diabetes Blog Week!! You can find everything you need to know here. I've heard so many stories of people who don't understand overtreatment until they actually experience a dangerous low. 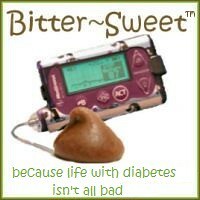 HCPs who are later diagnosed with diabetes, etc. You can't know what I'm feeling when I'm there unless you've been there...and you can't assume I'm fully in control of my actions when I'm down there either! So if I could find a T1 endo, or at least one that has a couple on staff... I think it'd be better than winning lotto. Very well said. I think that people often forget that we are "normal" people too and sometimes we just want to FEEL normal! So true! I wish they could feel those lows. When I went thru a period of really bad oness, my doctor kept telling me I should treat first before testing. If I didn't know I was testing, how could I stop myself? Had to laugh at the Mexican food because I almost wrote that I didn't want them to see the peppermint patty I had for lunch but chickened out! Reading this, and the comments, I'm realizing we were spoiled because my daughter's first diabetes team consisted of an endo and a CDE who both had T1D. They were both really high quality professionals but in retrospect, I realize that their perspective as PWD's made their advice much more helpful.